Let’s face it—poker is fun. A lot of fun. But that doesn’t make it a reason to play in itself, unless you have the self-discipline to stick to the freerolls. No, the only real reason to play is because there is a lot of money out there that is not that hard to scoop up. A lot of players are out there playing blind, with no sense of strategy or odds. This is why going through a poker training program is a sure way to work towards a winning future in the game. Unless you are some rich guy who just likes to throw away his money, losing doesn’t appeal to you. I know, I know. It really doesn’t appeal to me either. I’ve always been the kind of guy who feels he can learn to do anything he puts his mind to. It’s just all about having the right material and the right mentor or guide. 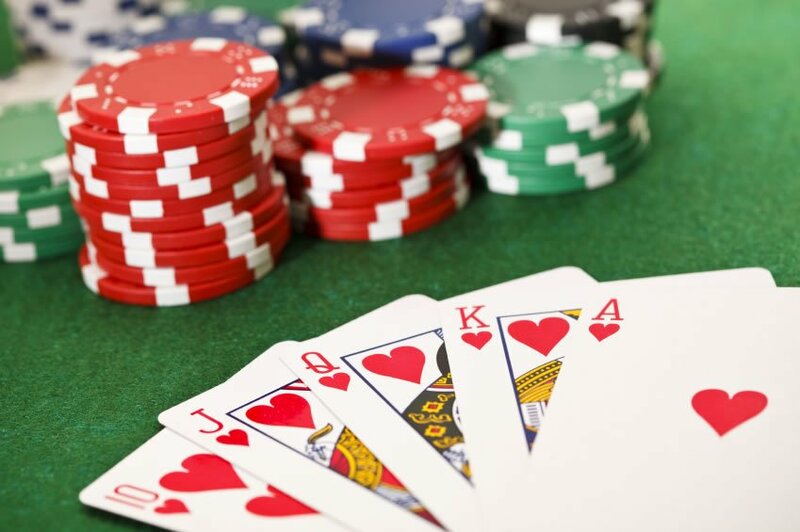 In discussing proper strategy to maximize profits in no-limit Texas Hold’em, there are a wide assortment of topics that can be discussed, such as bet sizing, playing position, pot odds, effective styles of play, and so on. The list is seemingly endless. In this article we will touch on some of those topics and others, but the main strategic point we will focus on is being successful by playing a solid game and minimizing mistakes so that you are ready to play at some of the best online poker tournaments and compete for the best rewards. My top ten poker tips aim to help players with their poker strategy, approach and continued enjoyment of both online poker and live poker games. The poker tips are not listed in any particular order of importance except perhaps the first. 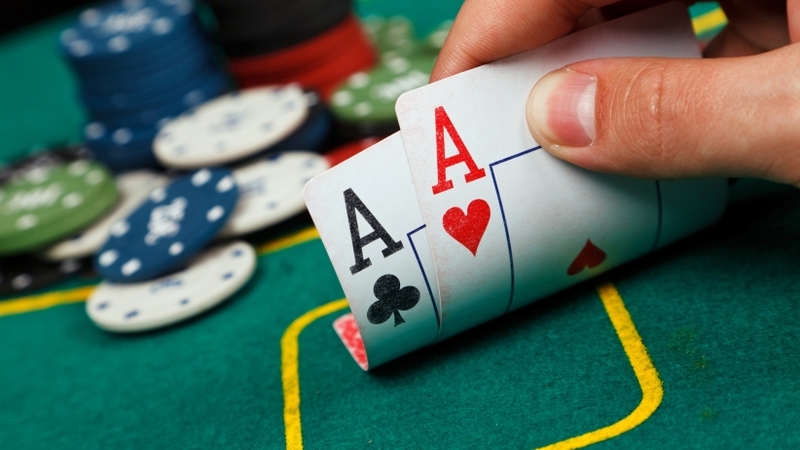 Play at a buy-in level that suits your bankroll and attitude to risk. Never play with more than you can afford to lose. If paying the rent depends upon the result of a tournament or a single hand, you may find the pressure leads to poor decision making and a disproportionate reaction to the bad beats all poker players endure. If you lose a major portion of your table stake in one or several large pots, do not try to recoup your losses in a ‘do or die’ fashion. Stick to your sound, proven poker strategy; wait for your next playable hand and look to recover your losses over the longer term. Similarly, if you take a big hit to your poker bankroll in one or several sessions, do not move up to a higher buy-in level thinking, ‘one good win and I’m back to where I started.’ Often you will play the higher buy-in level with a too loose or too tight attitude, neither of which is natural to your game. No matter if you are playing $0.25/0.50 or $25/50; if you have lost 80% of your buy-in for any reason, do not throw the rest away. That remaining 20% (if you walk away with it) should be thought of as profit; because if you don’t, it is a loss. If you take a big hit to a previously healthy tournament stack; re-evaluate your options for the amount of chips you have left and make the best use of them. Avoid playing too many hands especially the marginal ones unless you need to; more often, play the hands which have a better chance of winning. Remember, when folding pre-flop, you are playing your cards. The reason to fold can be various including, too many players already in the hand, you are out of position, the price is too high or the cards dealt are just plain rubbish. The reason to enter the hand must be equally clear. Online poker pocket cards are dealt to each computer simultaneously; effectively everyone sees their starting hand at the same time. Players can consider their options before it is their turn to act and may tolerantly follow through with their decision, regardless of the table action. Before you decide to play or fold; consider what has happened before you in the betting round and what may happen after your action. There are two trends to understand; table trends and player trends. Observe a cash table and make a reasoned assessment of its character before taking your seat or getting heavily involved in the action. Adapt your game to one that best suits allowing you to profit. The common thought of ‘if a table is loose, play tight and vice versa’ often applies. Do not be put off if a cash table is more passive or more aggressive than you would like, provided you can adapt your game to suit the condition. However at times, it may be prudent to find another table, sit out or even leave one where the action is far from that with which you are comfortable. In a tournament you take what you are given but remember, changes in the players seated and the blind/chip stack ratio, means the table character will fluctuate. Playing any table should not necessitate you making drastic strategy changes; generally you should consider subtle adjustments to what is already your standard profitable game. Recognise the LAG, TAG, LP and TP players at your table and have a strategy in mind to compete with them. You may find a player who will always raise from the button or in the small blind if the table folds to that seat, regardless of the cards they hold. Others may play any Ace they are dealt. While you cannot tell exactly what cards a player is holding, you may gain an advantage in a number of hands. This story was written by Ed Barrett – a poker player. “The Malihowski’s put fried onions on their oatmeal!” Mom was sounding off at me again for not eating my oatmeal. What did she expect? Who would eat oatmeal that didn’t have any sugar on it? It was during World War II. Sugar was rationed and Mom was using saccharin, the original sugar substitute, to sweeten my oatmeal. I had no idea how she knew that the Malihowski’s put fried onions on their oatmeal. She knew I hated fried onions and was probably making it up, thinking I would be happy with the saccharin if fried onions was the only other alternative. Mom never looked me in the eye when she was fibbing. I didn’t know what a ‘tell’ was at the time, or how to take advantage of it, but this time Mom definitely was fibbing. And it made me mad. So I screamed. I’d turned seven two weeks before and the screaming, which had been perfectly acceptable behavior until now, set Mom off. When I saw her reach for the catty-nine tails which she kept hanging on a hook in the pantry, I made a beeline for the front door with Mom in hot pursuit. None of this has anything to do with poker, but it sets my mood for the day on which I played penny-ante for the first time. I’d watched my older brothers play in the basement of Hennessey’s Candy Store on the corner of what is now 12th and Broadway Streets, in Poke Hollow, Pennsylvania, where I had grown up, but they told me I couldn’t get into the game until I was eight years old. Poke Hollow had eight streets, except for the dirt roads that led to individual homes, but the town council thought that having a street with double digits in it would sound more prestigious. When I was growing up, Broadway Street was Pothole Lane, and 12th Street was once Winding Ditch Pass. The changes all came about a few years ago when the county black topped the roads. Play when drinking, good or bad? First of all I want to make sure that all of you know that my personal opinion is that gambling in any form and playing is not to recommend when you have been drinking, since it can make you lose more then what you can afford, and it will result in losing money more often than you win them. Maybe this sounds like an odd theme to discuss, but I’m gonna try it anyway. The thing is, this is something I never do, play while I drink alcohol. I usually don’t make exceptions either. Okey, well actually there was this one time….. I got home after a great night out, drinking and having fun with lots of my friends. We got to talk poker (which is not totally uncommon when we meet up), and suddenly I got this big urge for some poker. Not totally surprising I ended up in front of the screen when I got home to play some Online poker. I found this one player that i had played quite much that week already and he was good. Think he won 6 out of 8 sessions heads up, but that didn’t concern me at this moment. Of course the fact that we had been playing eachother alot that same week made my gameswitch even more powerful. Maybe its not such a bad idea after all, but i still think that the chances of loosing is bigger than your chances of winning. What kind of experiences of this do all of you readers have? Please share them with us. Wow, no matter how much money Tony wins from trash talk like that, it does feel like its not totally fair. I mean, where did that card game where everybody acted like gentlemens go? Can’t he get a minute to think about his decision just like you would have liked to yourself? Isn’t stealing his money enough? What if everybody would use this freakin strategy to win their bread and butter cash? Then poker would be a start of a new world war. Come on, I would like to punch him in his face if I was apart of that hand. Gosh now every Tony G lover will start gaggin on me, don’t get me wrong. I love Tony but he crossed the line by some inches in that clip if you ask me. And if you like this kind of trash talk, then enjoy because this is as good as it gets! What separates good poker players from the bad ones? Simple – it’s lots and lots of studying. Popular cardsharks such as Phil Ivey and Daniel Negreanu didn’t earn their fame through sheer luck alone. They have lost many games, they have pored over hundreds of poker books, they have slaved over calculators and memorized common hand scenarios in their head. What you don’t see on TV is the humongous amount of hard work that these players have put in behind the scenes. The app does what it says on the tin: it scans for tables according to a user’s preferences in online poker rooms. No need to manually select tables on your own. The app can work across multiple online lobbies (for those who like to play on multiple sites), pull up player statistics, and presents this information to you in an easy-to-understand table format all at the same time. Equity calculators used to be in the realm of premium poker software which you need to shell out money for. Thankfully Equilab is here to provide a free alternative. This freeware offers fast range-versus-range and multiplayer calculations, plus a whole other host of output options. Equilab also provides a scenario analyzer and a hand selection tool. POKER STRATEGY – Are they tired or alert? There is nothing easier than playing against a tired poker player. The number one reason to go play late at night or very early in the morning is because you’ll get the person whom has been playing all night long. As you may know, when a person is tired they are off their game. It is difficult for them to even read the cards let alone read the player and the player’s cards. I have often seen players think they have a straight, a flush, or two pair when in fact they did not. Often a person will brag about how long they have been playing so do not hesitate to ask them. POKER STRATEGY – What are your poker opponents drinking? Water, coffee, or alcohol? It has to be one of the three or a combination thereof. Anyway, as you may have figured, the person drinking the alcohol is most likely to over bet their cards in an attempt to bluff. They will also usually play more hands in an attempt to catch cards as their primary goal is often shifted from winning to entertainment. It may all come down to luck for them at this point. The alcohol drinkers tend to watch the players and their reactions a little less as the waitresses start looking better and better and the drinks become more and more important them. However, some drink casually to just to ease the tensions. Watch what people are consuming and how much.